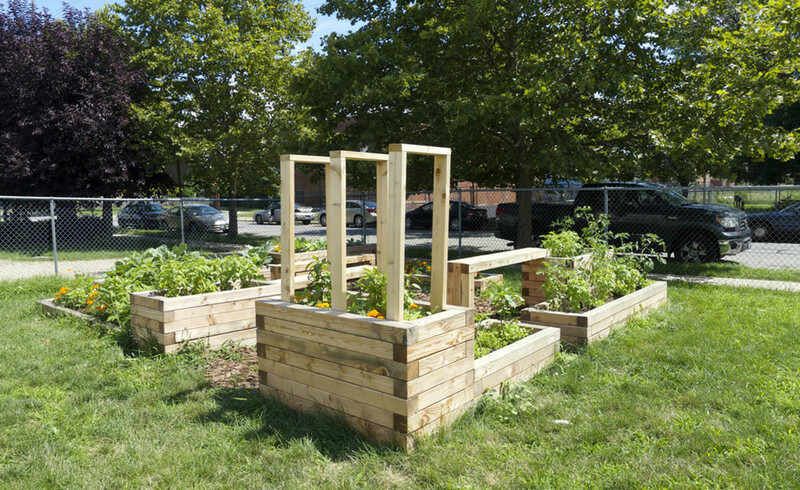 Urban food production, art, and learning coming together, the first phase of The Gift Garden was completed. 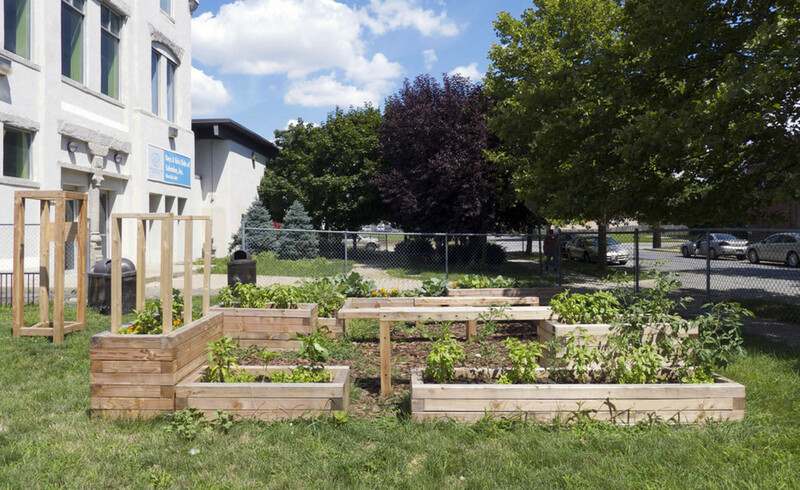 The garden has transformed an underutilized space into an educational garden, integrating with the original play set on site. 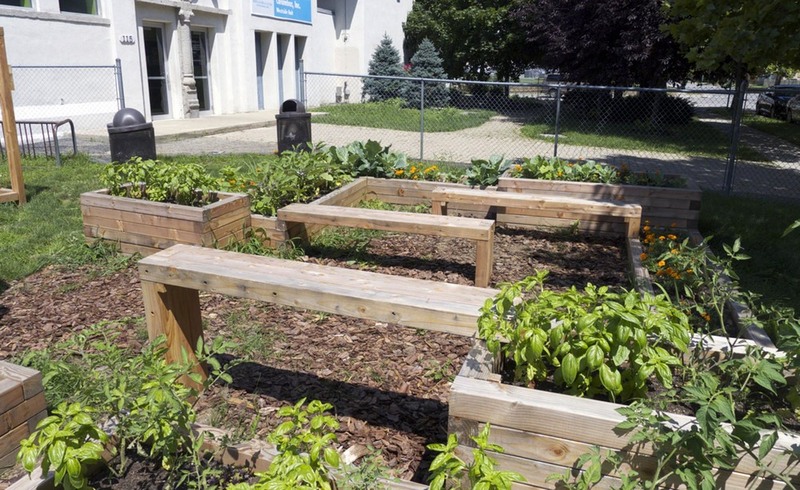 The Gift Garden is an outdoors teaching classroom to provide gardening education to more than 150 Boys and Girls Clubs of Columbus members and a place where the community gather for leisure and events. 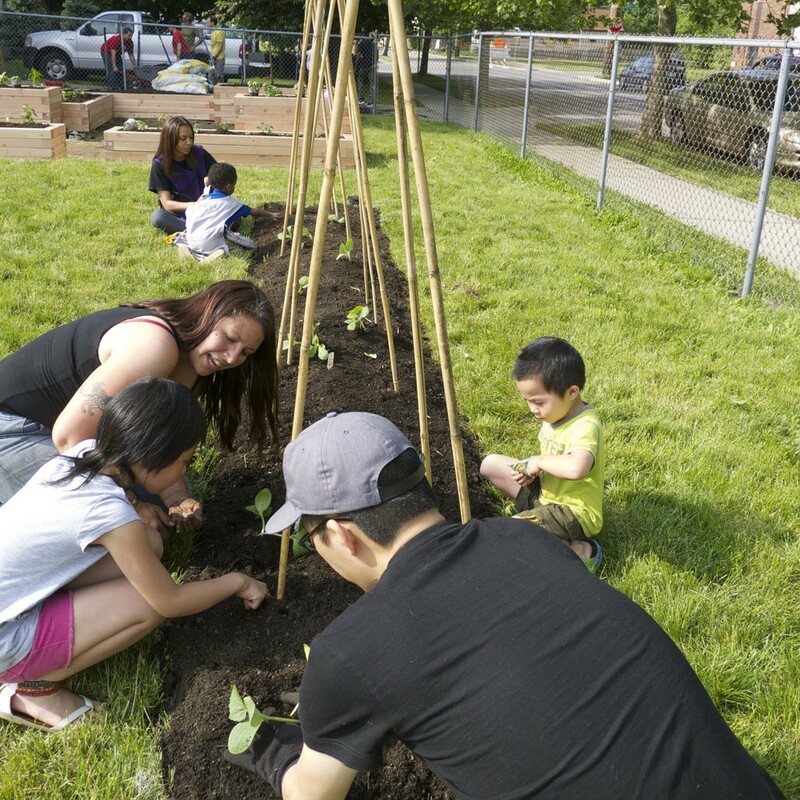 The Gift Garden is designed to accommodate users of different ages and capabilities. The planters are built of various heights and are organized in a pod. This creates an intimate setting as users can freely sit on the edges of the planters as they gather for gardening classes. 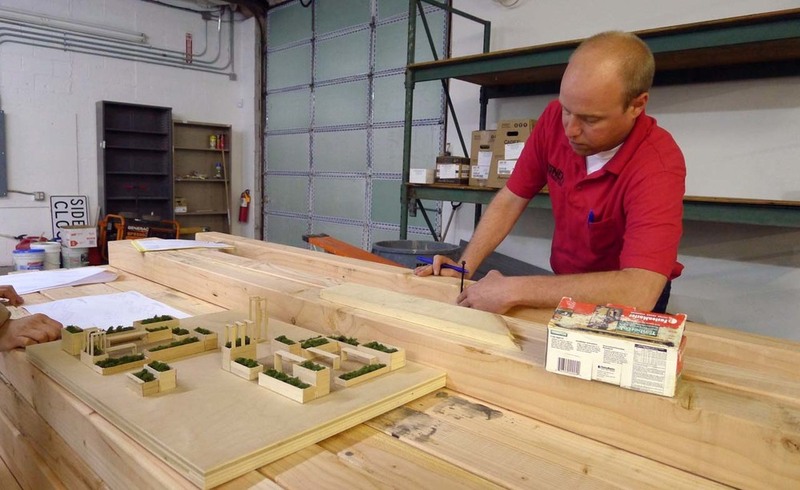 There are plenty of bar-height benches that also provide work surface. 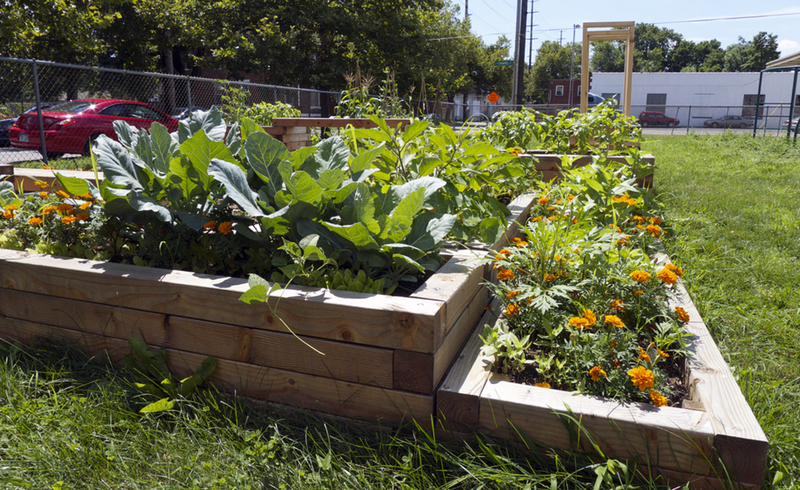 The garden, built in in the under-developed neighborhood of East Franklinton, provides a place where the comprehensive education on healthy lifestyles and many more multi-disciplinary programming can happen. It will improve the accessibility of fresh produce as well as provide a setting to nourish the sense of community where growing takes place. 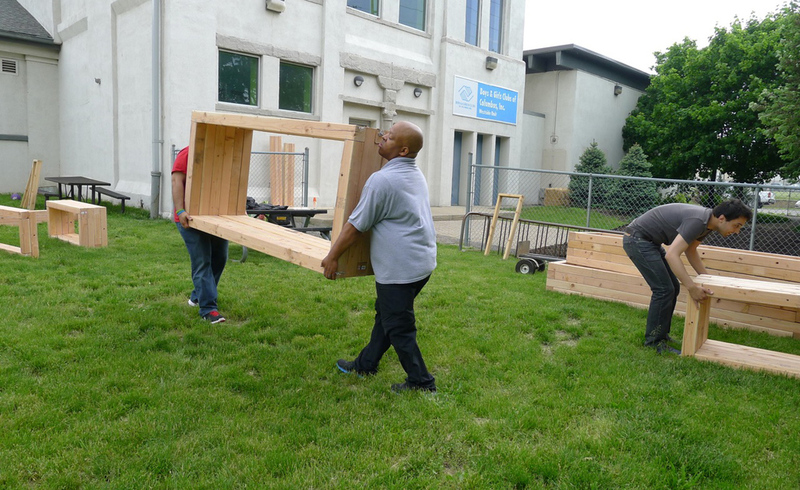 The project is made possible through the strong partnership between Local Matters, Boys and Girls Clubs of Columbus, Tim Lai ArchitecT, ALTernative, and Dinin’ Hall. Sources of funding include a grant from the Puffin Foundation and private donations. Additional funds need to be raised for the second phase for the built-out of the 2,000 sq. ft. garden. 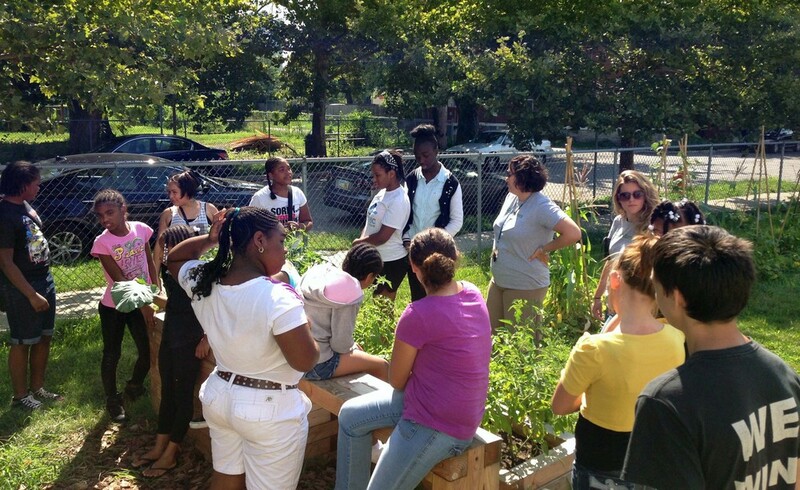 ft. A fully functional education garden with fresh produce sows the seed for the future, healthy growth of the community.